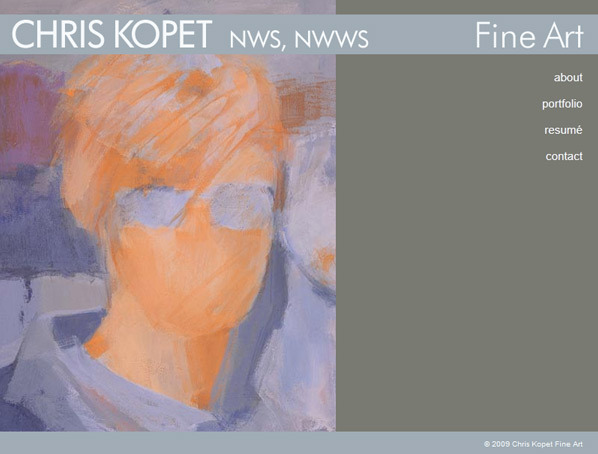 In her figurative work painter Chris Kopet likes to reveal the body language of her subject by simplifying forms and using color for emphasis. Ordinary human stances in prosaic scenes become engaging due to the artist’s color palette. Chris wanted a simple minimalistic portfolio site to showcase her colorful work.